Do You Have Immediate Needs For Parking Lot Repairs? Same-Day Quotes From a Full-Service NJ Asphalt & Concrete Company. We handle all phases of asphalt from a simple pothole repair to complete rehabilitation of a parking lot. We handle all phases of concrete from a single sidewalk flag to a complete concrete pavement replacement. We offer all phases of pavement maintenance to include sealcoating, crack sealing and line striping. 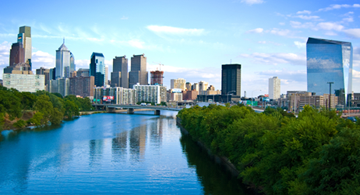 We provide the most comprehensive pavement management plans in the Delaware Valley Market. We provide professional asphalt, concrete services and pavement management programs to commercial and industrial property managers in the New Jersey, Delaware Valley, Delaware, Northern Maryland and the Delmarva Peninsula. Our mission is to help property managers, facility managers and single property owners get the most value from their budget dollars. 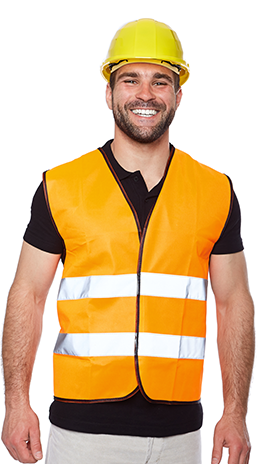 We bring you the fastest quotes in the area and complete the job with the latest technology. 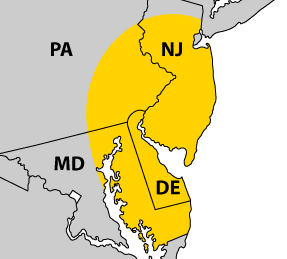 We have offices in NJ, DE & PA. Our offices are centrally located to service the markets we service. 1-877-FIX-ASPHALT gave me an accurate quote at lightning speed, but I was even more impressed with how quickly and professionally they completed repairs on my parking lot. Do you have specific Asphalt, Paving, Concrete or Pavement Maintenance questions and need unbiased, "Expert" advice? Not sure which paving or pavement maintenance product / process to use? Are you looking at 4 different bids with different scopes of work? We’ll give you industry knowledge to help make your decision.